Do you need help with garden clearance in Manor Park or the surrounding RM2 area? Look no further than Away With It! 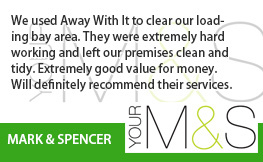 For nearly 15 years we’ve been providing garden clearance Manor Park home owners trust and freely recommend to neighbours, family members and friends. 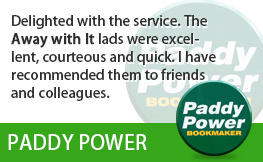 They love our quick, flexible services and budget-friendly prices. And we think you will too! 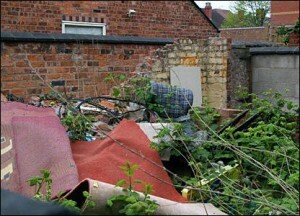 No-one enjoys garden clearance and disposing of your garden waste can be an even bigger headache. 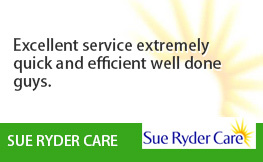 But with our fast and flexible services garden clearance couldn’t be easier. Our experienced and efficient staff will clear all of your garden junk in no time. And at a refreshingly affordable price. Organic matter such as branches, bushes, leaves, soil and grass. Patio slabs, walls, fencing and all other garden structures. We supply all the tools needed for the job and we will sweep and rake up afterwards leaving your garden neat as a pin. 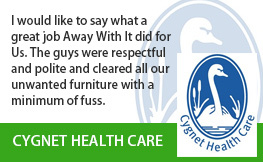 We are licensed and insured. 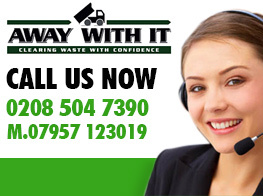 You can rely on us to carry out a completely professional job and handle all your waste properly and legally. We are open for business 7 days a week from 7 in the morning until 11.30 at night. Early morning, evening and weekend appointments can always be set up for your convenience. 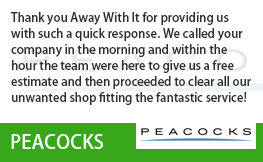 We provide a fast, on demand removal service. Any time you need us we are just a phone call away. Appointments are in two hour slots and we’ll be sure to call in advance tell you know when we’ll be arriving so you’re not left hanging about. 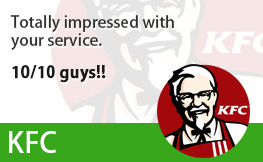 Our straightforward pricing means there won’t be any unpleasant surprises when the job is concluded. The rate we quote is the price you will pay with no hidden extras. We recycle 80% of the waste we collect and dispose of the remainder responsibly. To discuss your needs for garden clearance Manor Park call us without delay on 0208 504 7390. We’re standing by for your call 7 days a week from 7am to 11.30 pm. Our knowledgeable staff members will be more than happy to answer your questions and give a very affordable free estimate.